In late 2013, Main Street Skowhegan was gifted 25 Bernard Langlais sculptures from Langlais's Cushing, Maine estate. Bernard "Blackie" Langlais was a prolific sculptor known for creating oversized sculptures made from scrap wood and found objects. He was both a student and teacher at the Skowhegan School of Painting & Sculpture. After the Georges River Land Trust and Colby College, Skowhegan has the most Bernard Langlais sculptures in the state. Both a student and a teacher at the Skowhegan School of Painting & Sculpture during his lifetime, Bernard “Blackie” Langlais (1921-1977) was a prolific artist known for his impressionistic folk-art style and oversized sculptures made from scrap wood and found objects. 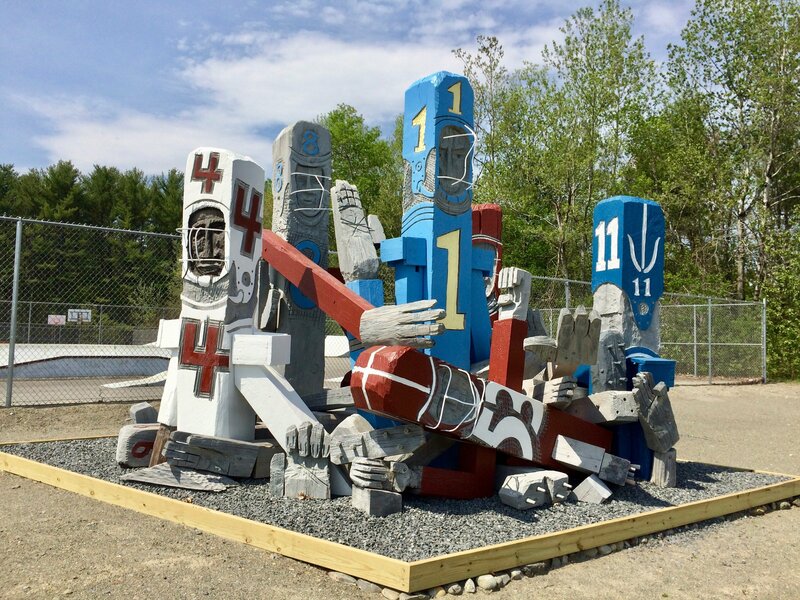 In 2013 Main Street received 24 sculptures from Langlais’s Cushing, Maine, estate; 21 are currently on view in public locations throughout town. 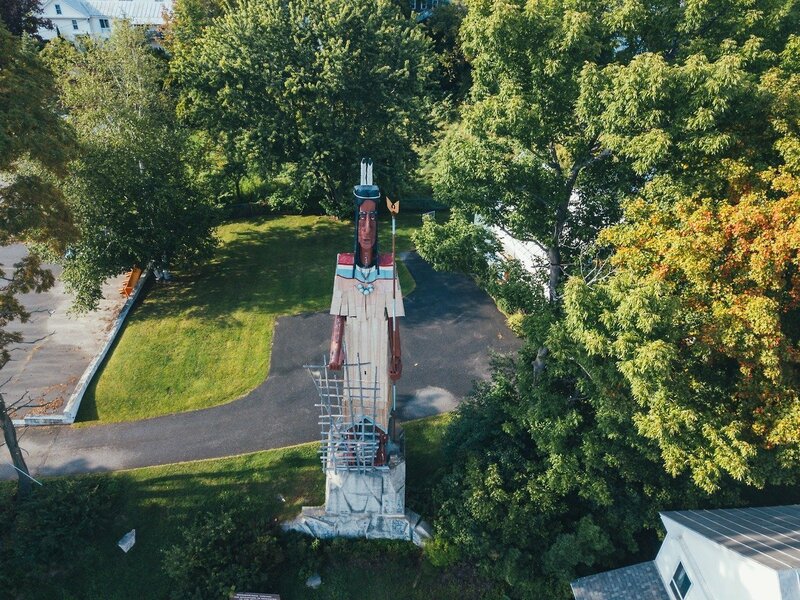 Complementing Langlais’s iconic 62-foot Skowhegan Indian sculpture—which was erected in 1969 and dedicated to “the Maine Indians, the first people to use these lands in peaceful ways”—these 21 pieces provide an opportunity to experience a critical mass of Langlais artworks in one area. Residents and visitors are welcome to visit the various sculptures throughout town. For more information, please visit Skowhegan Main Street website. Click here for a PDF of our brochure mapping all the Langlais pieces on display.